You’ll want this little chip thingy in your credit card if you plan on leaving the U.S.
Cash may be king, but cards are usually more convenient, more secure, and oftentimes more rewarding. But the cards we use domestically aren’t necessarily the ones we’ll want to carry overseas. If you’re planning an international trip, here are the four types of cards you’ll want to make sure are in your wallet. Avoiding fees is awesome. Getting paid to make purchases you were planning to make anyway is even better. And that’s why we dedicated an entire article to figuring out which credit card rewards get you the most travel. The short answer is that if you spend a lot on travel and dining, the Chase Sapphire Preferred is the card for you. Otherwise you’ll want to stick with a good no fee 2% cash back card, like Fidelity’s American Express Cash Reward Card. But seriously, go read that other article for all the specifics. That magnetic strip on the back of your card is VHS style technology. That means it’s old. Really old. Like disco old. Most of the rest of the world has moved into the digital age and embedded micro chips into their cards, but mostly not us. And that is increasingly a problem when we try to use our vintage 1970s card technology with the world’s 21st century card readers. Fortunately, a small number of U.S. banks have caught up with modern times and started issuing cards with “Chip and Pin” technology. Unfortunately, many more have decided to confuse things by issuing less widely accepted “Chip and Signature” cards. As you might have guessed, the difference between these two technologies is how transactions are authorized. A Chip and Pin card works like your ATM or debit card by requiring you to enter a Personal Identification Number to authorize a transaction. This has become the international standard and is what you want to carry if you’re going to be traveling outside the United States. Naturally most U.S. banks have gone their own way and started issuing a different kind of chip enabled card; one that requires a signature instead of a PIN. The only problem with this strategy is that not everywhere outside the U.S. is set up to accept your signature as authorization. Automatic ticket machines for trains, metros, parking, and other services may only accept PIN authorized transactions. If all you have is a Chip and Signature card, you could be out of luck. Fortunately, there are a few U.S. financial institutions (very few) that offer Chip and Pin cards. Pentagon Federal Credit Union is one. If you followed our advice and got their Cash Rewards Card for the gasoline bonus, you may already have a Chip and Pin card in your wallet (you’ll know because your card will have a visible chip like the one pictured above). 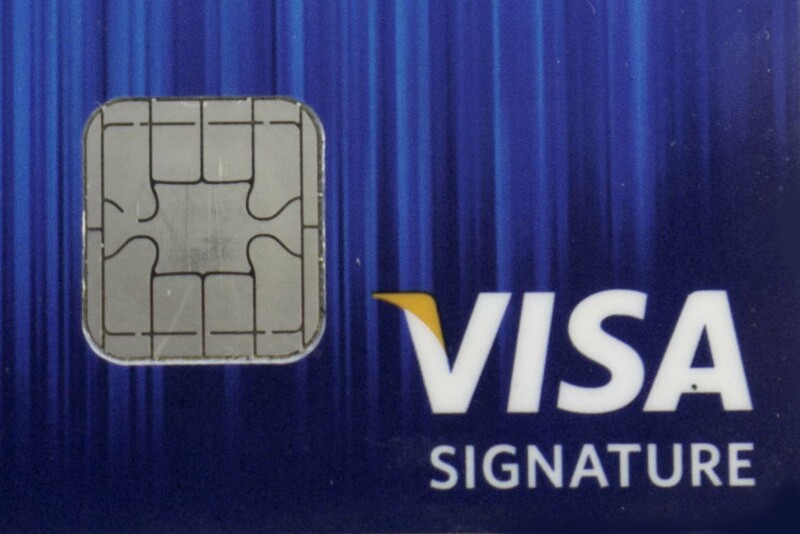 If your card does not have that chip, you can call Pen Fed or log into your account and have them upgrade your card. Other cards from Pentagon Federal with Chip and Pin technology are its Platinum Rewards Visa Signature Card, Promise Visa Card, and Gold Visa Card. They don’t advertise the feature, but they do still offer it. Andrews Federal Credit Union’s Globe Trek Visa card also comes with Chip and Pin technology. Both Pentagon Federal and Andrews Federal are credit unions that have certain membership criteria. Despite those restrictions, nearly anyone can become a member by joining affiliated organizations like the American Consumer Council for Andrews Federal and the National Military Family Association for Pentagon Federal. This ATM Card reimburses your withdrawal fees at any Visa, Plus, or Star ATM machine anywhere in the world. There are two ways to withdraw money from ATM machines without paying fees: the hard way and the easy way. The hard way involves searching for specific bank machines affiliated with your domestic bank and hoping they won’t charge you a withdrawal fee. The easy way is to have your domestic bank reimburse you for whatever fees you incur while withdrawing your money from almost any ATM machine you please. We prefer the easy way, which is why we opened a Fidelity Cash Management Account. Withdraw money using Fidelity’s free Visa Gold Check Card from any ATM machine displaying the Visa, Plus or Star logos anywhere in the world and they’ll automatically reimburse all ATM fees. That’s a pretty sweet deal. Charles Schwab offers a similar fee reimbursement feature along with its High Yield Checking accounts. Update: Since writing this we’ve learned that Fidelity’s Cash Management ATM is somewhat less than advertised. Fidelity processes some withdrawals as “cash advances” for which it doesn’t reimburse fees. Fidelity also charges a 1% fee to convert foreign currency. 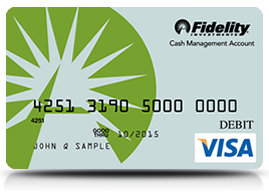 So Fidelity’s isn’t exactly a free ATM card. The charges end up being lower than those levied by traditional banks who often charge two withdrawal fees (one by the ATM owner and one by the card issuer) and 3% to convert foreign currency. But Schwab’s ATM card now seems like the clear winner for avoiding fees. It used to be that only Capital One Cards and perhaps a few others waived fees on foreign currency transactions. Now it seems as if that is more or less a standard feature. Still, for an international traveler, it’s a feature you want on your card. Luckily all of our favorite rewards credit cards (and all the ones mentioned here) offer no fee foreign currency transactions. We loved our Chase Signature Visa No foreign Transactions and a chip! Plus they were quick to replace it when frauds were discovered even abroad!!! Add to that list a card with no connections or dealings with the USA if you happen to be travelling in Cuba! 🙂 Halifax works, as does HSBC. Santander doesn’t. Interesting point. But how does a U.S. citizen get a credit or bank card with no dealings with the US? I think we’d probably just plan on using cash for that portion of our trip rather than getting a dedicated card for Cuba. Ah, my bad. You probably would have to. However, for non-U.S readers, it’s well worth having. Carrying 2-3 weeks worth of cash about is a bit scary! ( and you’d be surprised how hard it is to find a non-U.S associated card, even outside the U.S). If you don’t carry a card with a chip before you travel abroad you will find yourself in trouble!!! Great post on which card to use! We used the Chase Sapphire on our trip! I have a BoA Master Card that is chip and PIN, but there is no visual indication of a chip. BoA does have chip & PIN, but perhaps it’s restricted to businesses, which is what I have. Timely because it was just issued to me this weekend! The PIN came in the mail a day prior to the card. Interesting. Perhaps it’s so new that they haven’t updated their FAQ yet. In any case, it’s good news that this is becoming a more widely available feature. Great post Brian. I’ve been following your blog and learning a lot. I just signed up for Fid card. Six years down the road, we’re planning to retire and take travel as full time. I just heard on NPR this morning that Credit Cards in US about to change to chip technology cards soon. Good News! Muy bonita pagina.Es dificil conseguir muica de esta calidad. There’s one card I can think of that will kill two of your birds with one stone: The BankAmericard Travel Rewards Visa is a good travel rewards card, has no foreign transaction fee, and has no annual fee to boot. You can also use the reward calculator at CreditCardTuneUp. com to find cards and sets of cards that will pay you more in rewards (travel rewards, etc.) for your travel expenses and other monthly expenses. Nice Post. Thank you sharing it with us.